is unlike anything available today, it’s simply amazing. With an effortless glide and luxurious consistency, it offers excellent versatility, work-ability and absorbency. 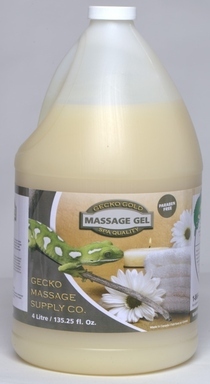 Our Supreme Green Massage Lotion is clean, light and low cost. It contains over 98% plant derived ingredients. This product is made for the body worker who is concerned with using non plant ingredients. Leaves skin soft and moisturized with no greasy feel. 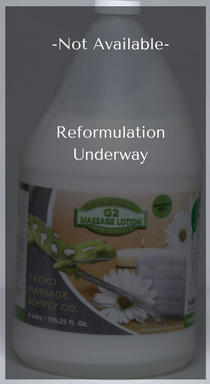 Our new Gecko Green Supreme Lotion will out perform many of lotions that are double the price. 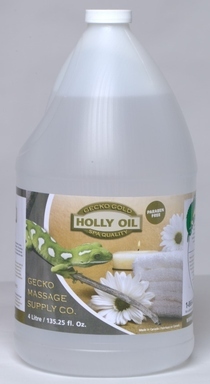 Useful for full body massage, aromatherapy, hot stone or other finishing treatments.